we served at the Home for the Sick and Dying and La Lou Orphanage. For our first time goers families and friends, we are providing a description of our day. Our team began with a devotion and song to start our day of serving. We listened to the song "There is Power". The song helped remind us that Jesus is with us everywhere we go. We are never alone and we can rely on him to give us strength, wisdom, courage, healing, protection, peace...really anything that we ask Him for. God blessed our team and were given a very special gift today. That gift was to be His hands and feet to so many children. 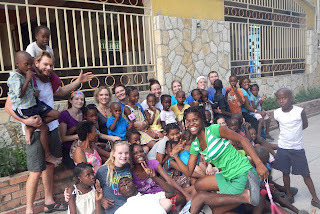 Our team held sick babies, we played with and loved on the toddlers, we changed diapers, we fed the kids roast, rice with bean sauce and veggies. We served along side another missionary team from Seattle. We were humbled by the Sisters of Charity that serve there every day. 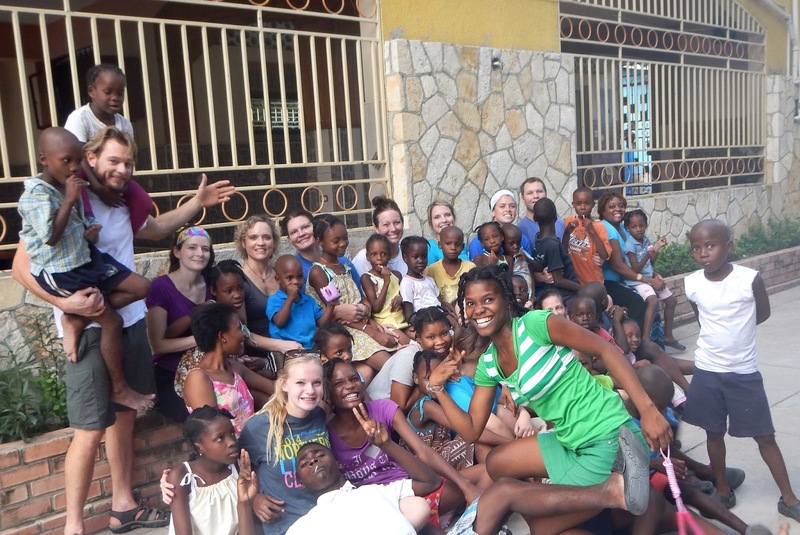 Hearts were broken as the team loved on the kiddos; equally, many smiles and much laughter was experienced. 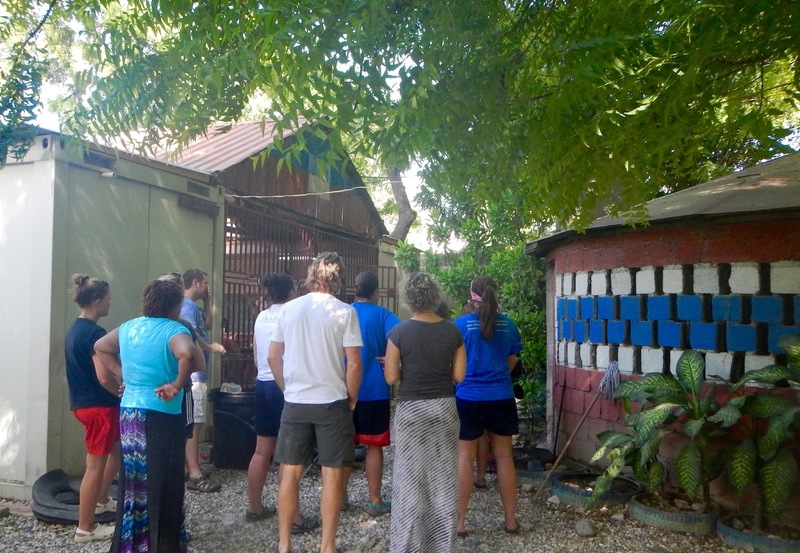 Our team went back to the guest house for lunch/snack time and then headed to Rebuild Globally, a local small business that employs Haitians. We bought flip flops made by hand out of tires. 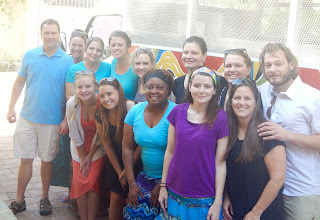 Our team headed to La Lou School where 40 children live. We jumped rope, played soccer and parachute. The kids were so excited to have visitors to play with. As we drove through Port au Prince throughout the day, the team was able to experience the culture of Haiti. The city was very busy with lots of traffic, vendors and shops. Beyond the city, we experienced the beauty of the mountains and sky. We were reminded of the true beauty that surrounded us. Only God can give such a perfect gift. Our team has put our trust in our Father. We trust that His will and perfect plan will be carried out this week. We have been gifted with an amazing team with selfless hearts that are being softened each and every minute. God has big plans for this team and many good things are going to happen in the lives of each and every team member. All the glory goes to God!